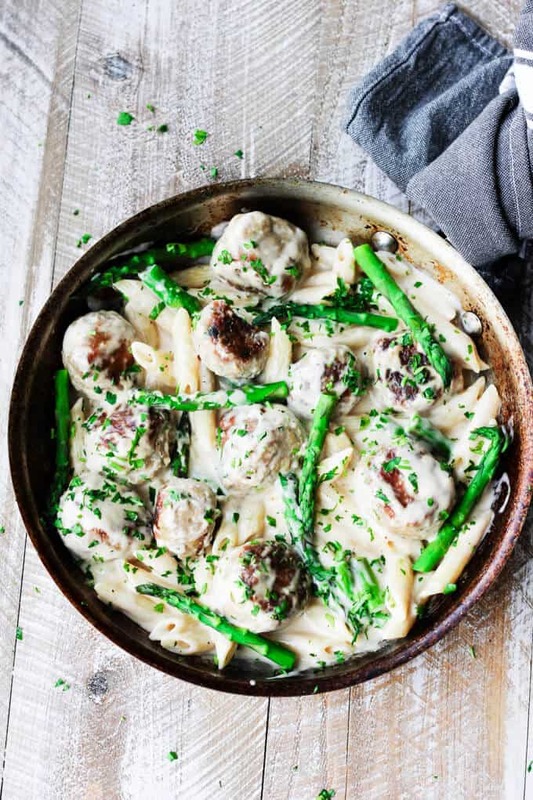 This Turkey Meatballs Alfredo Pasta with Asparagus is a perfect midweek dinner, for nights when you’re short on time but still want to make your family a hearty meal. It comes together quickly and incorporates a store-bought Alfredo sauce shortcut. I usually cook everything from scratch, as I think it typically tastes better, but I’ve been known to make exceptions occasionally, especially, when I’m on the run and need to make a dinner quickly. One of the shortcuts that I’m willing to use in my kitchen are good pasta sauces. Recently I discovered that my favorite pasta sauce brand makes an Alfredo sauce in organic version, so I stock up on them (I love organic stuff and I will always chose it over non-organic). 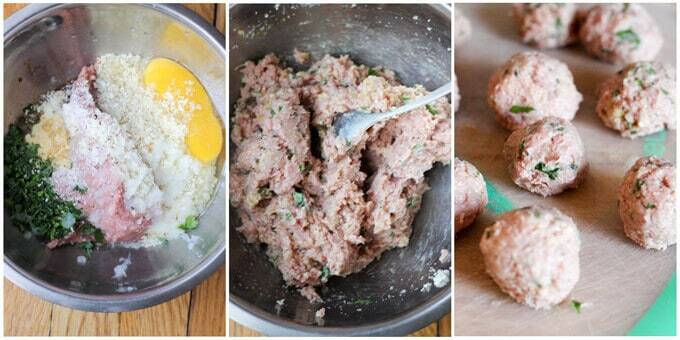 For these turkey meatballs I used exactly the same ingredients as in this recipe for Buffalo Turkey Meatballs. The difference here is that I covered these meatballs with Wondra flour and then browned them on the pan, instead of baking. 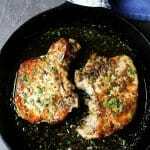 I’ve loved using Wondra flour ever since I made this Jacques Pepin Chicken with Garlic & Parsley. I also used it in this recipe for Pan Fried Haddock Mediterranean Style. This flour is super fine and can make a wonderful crust on meat or fish. It’s kid friendly – pasta, meatballs and cheesy sauce is something most kids enjoy eating. By sneaking in some asparagus, you may be able to convince some them that veggies are actually good. 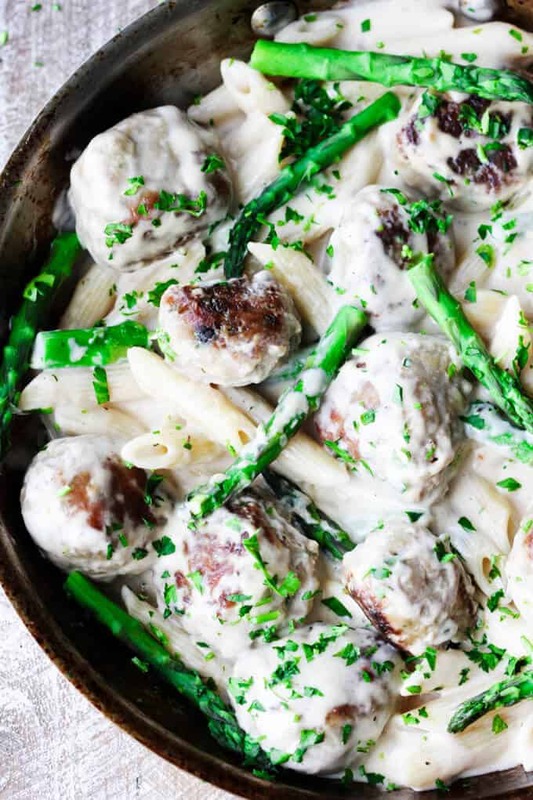 What’s actually in these Turkey Meatballs Alfredo Pasta with Asparagus? 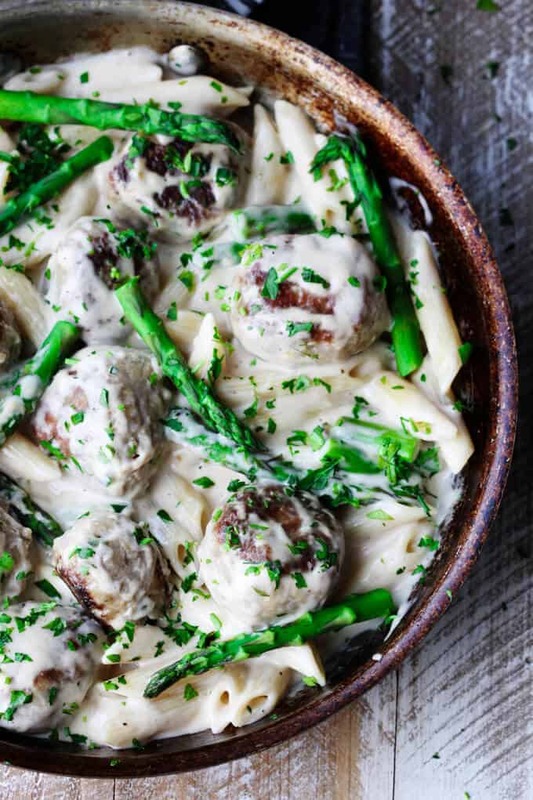 Add pasta and asparagus to the pan with meatballs and Alfredo sauce. Sprinkle with parsley and serve. 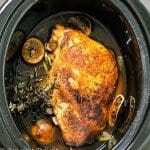 I am confident that your family will love this dish too. 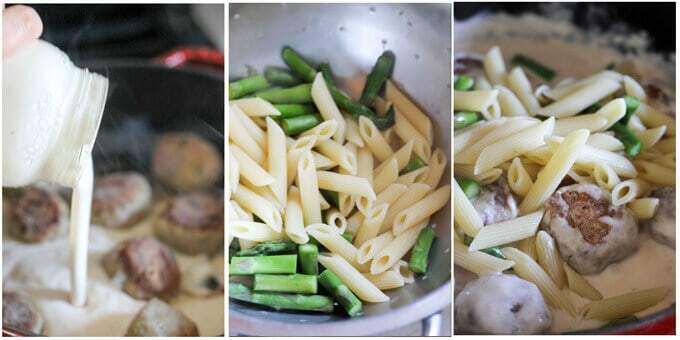 So, if you short on time and have all the ingredients handy, just make this Turkey Meatballs Alfredo Pasta with Asparagus and enjoy! 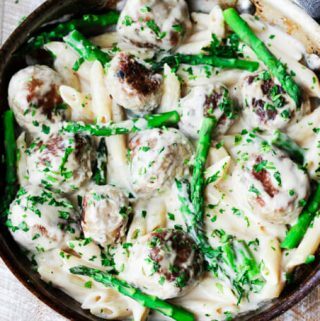 This Turkey Meatballs Alfredo Pasta with Asparagus is a perfect midweek dinner, for nights when you're short on time but still want to make your family a hearty meal. 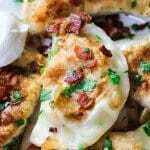 It comes together quickly and incorporates a store-bought Alfredo sauce shortcut. This looks utterly delicious and I love how simple it is too. 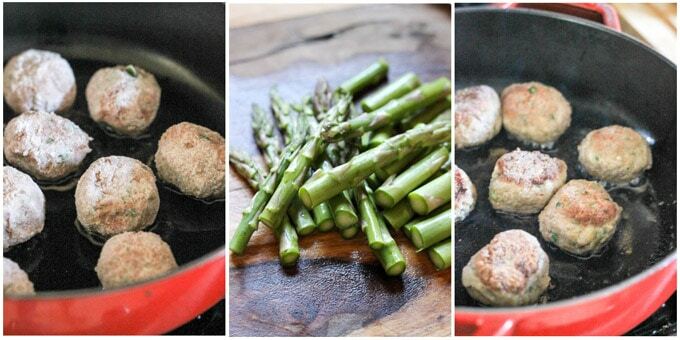 I’ve been looking for good recipes to use asparagus and this is just perfect! Great, thank you so much Emily. Yum! I love that this dish uses turkey for a healthier option. The beautiful green asparagus doesn’t hurt either! I couldn’t agree more Jenni. 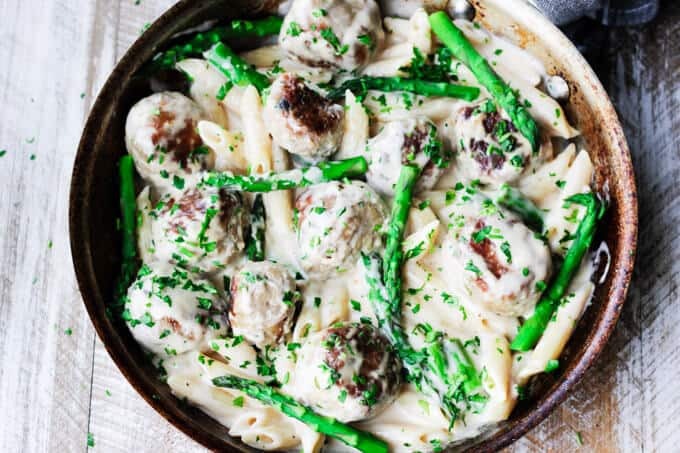 We have just recently been converted on to turkey meatballs and they have so much flavour. These look great! 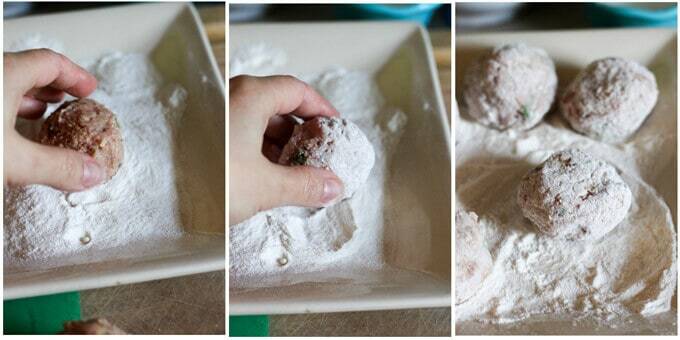 I never use Wondra, but I am intrigued by your use in coating the meatballs! I may need to pick some up. It really is awesome. It makes them nice and crispy. 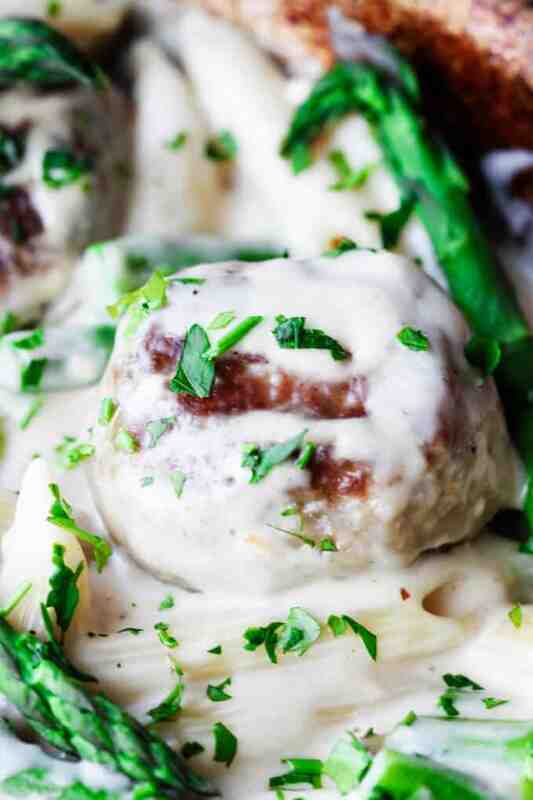 This TURKEY MEATBALLS ALFREDO PASTA WITH ASPARAGUS looks so yummy! I have it for dinner for sure! Thank you Deanna. I hope you will like it.